Manchester City Council will evaluate the policy and explore other measures to improve road safety. Since 2014, 20mph zones have been rolled out on more than 1,000 roads and 138 schools. While the number of pedestrians injured in road accidents over the past two years has fallen by a third across the city as a whole, in the areas where 20mph zones have been introduced, this varied from 14-23%. The number of cyclists hurt in accidents has also fallen by significantly less in 20mph zones than across the city as a whole. A report to councillors, which was agreed on Wednesday, calls for more evidence to accurately assess the benefits of 20mph zones, with funding reallocated to pay for other safety schemes such as new traffic calming measures and pedestrian crossings. 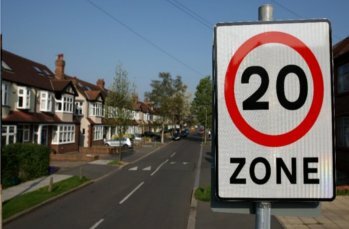 The council’s executive member for the environment, Cllr Rosa Battle, said: 'It’s great to know that the amount of pedestrians and cyclists involved in collisions has fallen considerably in the last two years in Manchester and we will continue to support 20mph zones, as part of our efforts to bring those numbers down even more.